This is a basic primer to review the meaning, context and mechanics of the Ascension Cycle, and open dialogue to discuss the various awakening symptoms that many humans may encounter during the consciousness evolution process that is happening on planet earth. I have placed many articles and tools on the website that may help support an improved awareness to further investigate and explore the impacts that Ascension has upon human beings, the planet and consciousness. It is important to develop strong discernment of the energetic signatures that we come to interact with, while learning how to distinguish personal resonance in order to help guide us forward. Please only take in the information that feels right for your personal journey and discard the rest. Humanity is undergoing a consciousness shift which requires a re-education of values and a change of priority in lifestyle. Much of the information on this website is a guideline to support people that are awakening and being guided towards stewardship or leadership roles in order to help others move through the consciousness shift that Ascension creates on the planet. It is also important to share awakening information with others in order to not feel fear from unusual consciousness experiences that occur commonly when integrating higher light-energy bodies. This information comes from my direct consciousness experiences with the Guardian Krystal Star Host and a kundalini awakening that began during the Grand Cross Alignment in August 1999. This was a very personal and frightening physical awakening process that dismantled my entire reality and ego in a very short period of time. During intense spiritual awakening phases, we undergo ego dismantling, and this is called the Dark Night of the Soul. I share my experiences to be of service to anyone that may benefit from this information. I have had many unusual, mystical manifestations appear in my life since my spontaneous kundalini release many years ago. Those of us undergoing the first wave of awakening are the Ascension Guides for the majority of humanity who have not yet experienced a direct spiritual awakening or have had enlightened extra-dimensional contact. This website is dedicated to the Starseeds, and those endeavoring to evolve as Guardian Stewards in order to help participate and build the required consciousness structures for this planet and humanity. Navigating kundalini current surging throughout my body made functioning in life in the 3D reality extremely painful, isolating and difficult. At the time, there was not much information available about Ascension, awakening or how to manage kundalini. At that time in the earlier stages of awakening, there was not a spiritual teacher or mentor to explain what was happening to me. As a result, my ego-personality was terrified that I was losing my mind, along with losing my identity in the life that I had known up to that point. Who does one call upon during multidimensional awakening experiences or when feeling sick with the kundalini flu? Who on Earth do you talk to when you are introduced to other interdimensional beings of every shade of light, grey and darkness and then begin to perceive an organized spiritual hierarchy of otherworldly human and non-human entities? Why are some of these dark entities attacking people that are awakening? Why could I tell the difference between artificial intelligence and organic consciousness? These were some of the questions that I had to explore in personal awakening, which pushed me to isolate and deeply search for inner truth and higher understanding. Further, during the early phases I experienced many unusual physical ailments. The pattern would show up during these times when the inner spiritual light force was greatly increasing, when light was being activated from within me to build my lightbody. In certain phases of spiritual development, I felt emotionally devastated and physically ill, not the sensations of bliss that others would speak of in the New Age. No one told me that spiritual awakening and rising kundalini forces can not only be devastating, but that there are many dark forces on the earth that will begin to target you for energetic harassment in order to stop spiritual progress. The sense of intimidation and bullying to incite fear would show up as dark entities, dark portals, and many levels of AI implants. During my awakening process, I did not find anyone in the public talking about dark attack and spiritual oppressions that are connected to the process of spiritual awakening. Spiritual awakening is not a disease. Spiritual awakening should not become labeled as an unexplained pathology by the unequipped medical community in so that people are medicated for ascension symptoms. Ascension is a natural biological process for expanding human consciousness and it is inherently a function of human DNA. The ultimate liberation of the human Soul-Spirit comes through this blessing of spiritual awakening or spiritual initiation. Humans must embrace that the planet is shifting consciousness, and prepare themselves for the consciousness change that will forever alter the way that humanity perceives and interacts with the reality. This process is the divine destiny of all humankind and our beautiful planet, a planet that is the heart principle of this Universe. We are enduring an accelerated consciousness evolution timeline and it is time to prepare ourselves. Many people have been suppressed and mind controlled to reject the spiritual-energetic reality of consciousness shifting and what that actually entails. The Controllers do not want Planetary Ascension information given freely, as well as sharing information about many other unapproved topics like disclosure. They believe they can control and herd people easier when they are scared and dumbed down. Thus, those awakening now are the forerunners and the mapmakers of the future planetary changes to help shift the timelines to higher reality outcomes that go beyond artificial intelligence technology used to control people on the earth. In order to be effective, we must gain self-mastery over our own mental and emotional states, as well as have proper evolutionary context, and an awareness of the hidden extraterrestrial agendas, and the human controllers that carry out their plans. First, let us review the meaning of Ascension and why humans are experiencing physical, mental, and emotional symptoms, as well as a shift in consciousness. Currently we are in a phase transition of consciousness expansion into the higher dimensional realms in which we may experience ourselves as multidimensional human beings co-existing with many other forces that are living in this planet. During the Ascension cycle, human beings will experience many varied physical symptoms, as we shift our cells into higher frequency patterns and embody more light. Ascension is about bringing in more layers of light, the spiritual-energetic forces that exist within the levels of our spiritual bodies by descending these layers into matter. This means the embodiment of our higher spiritual identity into our physical body, our original single soul occupant, not imposters. Simultaneously, Ascension is a shift in energetic frequency patterns held in a dimensional space which, when absorbed and activated into the layers of the planetary and human bio-energetic field, activates its DNA template instruction set. This catalyzes a chain of events that creates a complete transformation and transmutation of various patterns and programs held in the energetic templates of the soul’s journey through time. When spiritually activated, these patterns begin to shift, re-emerge and clear from the layers of experiences coded into every cell and memory pattern held as an energetic vibration within the bodies. The Ascension process is about moving the consciousness from one reality to another, along with an awareness of possible multiple realities existing simultaneously. Since a reality is a dimension, what we are undertaking is, in essence, a complete dimensional shift into another reality. A dimensional reality is held in place by a complex layer of coded energetic grids to create the illusion of time and space for the consciousness to perceive and to participate in its own experience within the broadband widths of that particular range of frequency. As the dimensional grids shift its frequency, and the magnetic attributes change, all things existing within that broadband will also shift and change. The natural laws governing that time and space as we know it, will also change. This means that the perception of our spatial awareness, our relationship to time and space will also change rather dramatically. Thus, to go through this shift one must prepare and adjust one’s way of thinking and being to that which is in alignment with the soul’s great purpose and true divine essence. Learning how to surrender to the flow of present awareness and gain greater self-love and acceptance are the main characteristics we need to facilitate an easier time. In order to shift the old behaviors and thought patterns that are not serving the soul’s higher purpose, it requires that we become aware of these harmful beliefs, that we see the imposter influence and then take the appropriate steps to clear and heal them. The spiritual development process will surface our deepest fears, limited beliefs, and old pain patterns through events that trigger them into our current awareness. We must consciously acknowledge and see our fears, in order to resolve and heal them. Our fears and pain is what allows us to be controlled and manipulated by others, who seek to have power over us. Some of these issues we will need to clear are ancestral and inherited from the family of origin. They may feel rather odd yet familiar, when they are brought into our awareness. We are not only clearing our own individual mental patterns, but also addressing the karmic mind implications that are recorded in the collective consciousness of the human race mind, the planetary mind. We can reframe the circumstances in our mind into the point of view of the observer. Observing specific issues that have risen to the surface of conscious awareness in order to have the opportunity to witness them and then clear from within the lightbody. Appreciate and acknowledge your inner light for accepting the assignment to participate in this spiritual-emotional clearing, rather than claiming it as a part of the personal identity. By allowing ourselves to let go of the pain and fear, and doing this repeatedly, we clear our emotional and energy bodies of the long-held traumas. These fear-based beliefs have impeded our ability to experience our true inner light and authentic being, which brings more joyful purpose into our lives. Once the emotional body is resolved and cleared of an old pain or trauma, the physical body then is enabled to clear its equivalent of that energetic blockage. All of this happens simultaneously within all of the layers of the bio-energetic field when each healing is being cleared. In effect, it is a full clearing and release of these painful events held as patterns in the body from the soul’s record and cellular memory. Also, as these painful patterns are removed from the soul record, the clearing recodes our DNA so our body can hold more inner light. Thus, sustaining our new frequency that helps to expand higher consciousness and multidimensional perception. 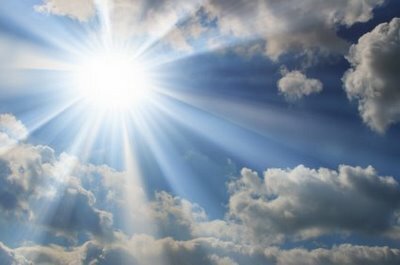 As we hold greater light and a more advanced genetic package in our bio-energy field, it enables others to ascend, through the principle of resonance. Through higher resonance, those awakening start to vibrate at the increased frequency rate and activate inner potential and begin to claim the divine inheritance of Ascension. Emotional clearing is the main process we will experience as we shift through the Ascension cycle. Since emotional pain and energetic imbalances are responsible for our states of dis-ease, many of us will experience physical releases clearing from our body. Some of this energy clearing is dropping density from the karmic, genetic or ancestral soul lineage. Some lightworkers have chosen to clear states of energetic imbalance for the collective or for a specific group. This will feel as movements of energy being transmuted or transited through us, as our spiritual-energetic being may act like a cosmic filtration system for the greater whole. The goal of this information is to inform you of these dynamics that we are currently experiencing on the earth. As the energies accelerate, we need to be prepared by openly and clearly discussing the various possible physical symptoms from the position of having developed a neutral association and observing consciousness. To more easily navigate the pressure of internal and external changes, we must find what works for us personally by cultivating intuitive discernment, and opening our heart to compassion and empathy. Along with taking the time to educate ourselves to have an informed awareness and greater context for planetary awakening or Ascension. The information shared below about physical symptoms is to not alarm you, but is intended to be used as a tool to keep you better informed. We will not be given anything we cannot handle, although we are required to develop our inner relationship to our spiritual guidance. Much pain can be avoided by becoming more self-aware and taking the time needed to heal through emotional clearing and listening to our body when it is requesting support and rest. Our spirit has given us many tools for our Ascension toolkit to support our consciousness evolution in the smoothest possible way. Ask for assistance with a pure and sincere heart and it will be given! During the Ascension process as we accrete frequency and light we may undergo a variety of ascension symptoms, at all levels of the physical, mental, emotional or spiritual-energetic layers. These transmutational symptoms can be moderate to extreme. The 12D Shield is helpful to help harmonize the body through many ascension symptoms. Many of the ascension symptoms are vague to describe and inexpressible in linear thought and language. When people go to doctors, they are being told to take drugs or they are being instructed to seek professional psychological help. This site is not professing to be giving any medical advice. It may be beneficial for some of us to seek out medical or psychological treatment during our awakening process. We must follow our own inner guidance on how to proceed with what is occurring within our physical and energy body systems at this unprecedented time of acceleration. Certain symptoms are now becoming more apparent and when we know this as a process and that many others are feeling the same things, a certain serenity can be brought into the mind. Many can rest in the knowledge that they are being transformed in ways that may feel extremely unusual and difficult on the physical body. Also, our bodies often experience a rush of heat and energy bursts that are not comfortable. Our bodies are being shifted in thermodynamic ways and with so much light entering the fields of the body, some of the symptoms we experience are actually preventing our physical vehicles from bursting with the intensity of light. We may experience a triad sleep pattern (waking up every 3 hours) or interrupted sleep as we are being recalibrated and worked on energetically at night. This adds to our feeling restless and tired in the morning. Remember to be gentle with your heart and only allow others within the boundaries of your personal inner sanctum that treat you with the same loving respect. This can be an extremely vulnerable time emotionally. We need to release many fears, such as fears asking for help and take time to invest in ourselves to feel more balanced and healthier. Massage, bodywork, more hydration, organic and clean foods, supplementation, energy healing, spiritual counseling may be helpful. If I could impart the most important message from the Guardians, it is to emphasize how humans are so deeply loved and cared for by God’s Spirit, Krystal Star and Law of One Light Hierarchies, from all those who serve as One. The impact of our collective consciousness work during this evolutionary time cycle to shift future timelines, is generally beyond the comprehension of the lower human mind. Starseeds and Indigos agreed to be the Light stewardship and Ascension Guides for the changing reality structure. Humans are expanding consciousness to become increasingly multidimensional, and finding our heart and true love with God is only one part of the human equation. Clearing ego and emotional wounds, learning to discern the difference between negative ego and the higher self intelligence, reclaiming spiritual light-bodies, and evicting Imposter Spirit parasites, is a part of having an accurate assessment of the requirements upon the shifting earth. The earth needs new ethical guidance and true enlightened humanitarian stewardship. The Galactic community, those in communication with enlightened intelligence fields and higher dimensions, are the first ascending waves to meet those challenges of building structures that support humanity evolving into multidimensional spiritual beings. Our community is the repository of building and supporting the integrated ascension path, as well as cultivating self-leadership in order to lead and support humanity made through a personal example. Lightworkers, Starseeds, Gridworkers and Ascension Stewards, Thank you and with deep gratitude for all of your amazing support and work for the Ascension! Stay in the luminosity of your Avatar heart and Christos-Sophia path! We are here to reunite the Holy Mother and Holy Father and reclaim the Christos Diamond Sun body for all!